Newer vehicles have new high-tech air bags that are designed to protect us in the event of a car accident in Massachusetts and elsewhere. These air bags are beneficial in the event of a head-on collision. New braking systems and handling systems come with new cars that help us to avoid car accidents altogether. While all of these advances in occupant protection help to keep us safe during a crash, they’re still no reason to stop wearing your seat belt. 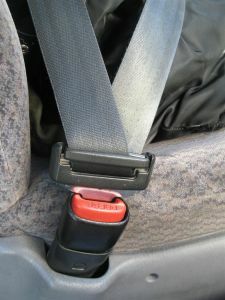 Our Boston car accident lawyers recognize the ability that a seat belt has in saving your life during a car accident. We also understand there are cases where a seat belt cannot save a life — and even those cases in which wearing a seat belt contributes to death. But these devices, once ignored by motorists in the 1960s and the 1970s, now have to be worn by all motorists, according to Massachusetts state law. According to current statistics, about a tenth of all drivers still refuse to buckle up. In Massachusetts, just less than 70 percent of all drivers wear their seat belts. This 2009 statistic landed drivers in the Bay State last in the nation for seat belt use, according to The Herald News. -The government doesn’t have the right to tell me what to do. -I won’t get into an accident. -Seat belts don’t matter if I have airbags. -A seat belt will only hold me down during vehicle submersion. -I’m not driving far. I won’t need it. The truth is nothing can replace a seat belt. All of the new safety advancements that come on new vehicles are merely supplemental to the function of a seat belt. Motorists should remember that a seat belt is your primary restraint system. Hospital costs are 50 percent higher for accident victims that aren’t wearing their seat belt. This increase in hospital costs only increases the cost of health care. According to the National Safety Council, a seat belt can reduce the risk of death or injury to a front-seat passenger in the event of an accident by nearly 50 percent. Many people worry that a seat belt won’t allow them to get out of a tough situation, like vehicle submersion. That’s not true. Wearing your seat belt will allow you to stabilize your body as you try to break the window or get the door open. Experts urge you to keep your seat belt on until you’ve found an escape route. We urge you to always wear your seat belt, even on short car trips. Most traffic accidents occur within 25 miles of the driver’s home. It’s estimated that eight out of every ten accidents happen when a driver is traveling 40 mph or less. Seat belts saved more than 15,000 lives of passenger-vehicle occupants over the age of 4 in 2007 alone. Remember, when wearing your seat belt make sure that it’s fastened snug, low and flat over your hips while the shoulder portion is worn across the shoulder and chest. You should never wear your seat belt across your neck or face or under your arm.